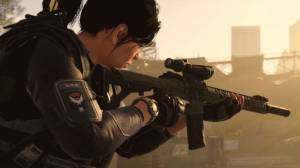 There is no shortage of weapons your agent can use in The Division 2, to figure out which are the best weapons you first need to understand how Weapons Talents and Stat Bonuses work as you will discover that these are important factors you need to take into consideraton along with such things as your playstyle, your team composition, the types of environments you fight in, how heavily you rely on skills, and how good your aim is. You also need to remember that The Division 2 is a loot shooter which means it revolves around getting better versions of things as you progress through the game and it is why you will come across the same weapon but with different stats. Weapon talents are basically what distinguishes a good weapon from a great one. Weapon Talents are the perks or bonuses that grant a specific ability to a weapon. 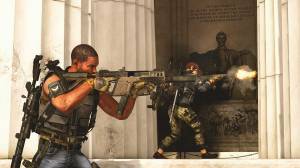 In The Division 2 there are about 50 Weapon Talents and they break down into three categories: active, passive, or holstered. To activate the bonus for these talents requires you to perform a specific action. An example of this would be to kill a target within a certain range. These are buffs that are permanently on. An example of this would be increased magazine capacity. This type of talent only becomes active when the weapon with the talent is holstered. An example of this would be when weapon A is holstered, weapon B gains a bonus which could be something like improved accuracy. If Holstered talents are planned correctly the payoff can be worth the effort. Not all weapons have talents and whether it has one or not is just down to luck. The exception to the rule is Exotic weopons which will all have fixed talents based on the type of weapon it is. Another thing you need to take into consideration when determining what the best weapons are is that some talents need a specific requirement before they become activated. Apart from Naked and First Blood which both just require you to have 8x Scopes or lesser equipped these requirements will be based on the number of specific stat bonuses you have. There are three kinds of stat bonuses: Offensive, Defensive, or Skills. They are colour-coded red, blue, and yellow respectively, and are shown next to your level number in your inventory menu. Note: This will be your Gear Score once you reach level 30 and the endgame. The red circular target represents your Offensive boosts, the blue shield that resemble a downwards pointing arrow is your Defensive stat boosts and the yellow battery symbol represents indicates your number of active Skill stat boosts. It is these stat boosts that are required to activate the weapon talent. For example the Perpetual talent requires 5 or more Skill stat boosts. If you pre-ordered the game or purchasesd The Capitol Defender Pack the Exotic shotgun called The Lullaby is essential until you open up the additional weapon slot. This weapon has the 'Lullaby' perk which gives you an armor boost of 35% when you hit an enemy with melee after swapping to the shotgun. It also has the Evasive perk, which reloads one shell after a dodge. Once you have the second weapon slot you may want to consider filling it with SIG 716 CQB, this semi-automatic rifle is a versatile weapon that has a magazine that can hold 20 bullets and it takes 2.4 seconds to reload. Trying to select the best weapons for the endgame is not straight forward as certain factors such as random attributes rolls and weapon mods have to be taken into consideration. However one weapon that stands out is the Military M60 E4 Light Machine Gun which can be turned into a devastating weapon if you add mods that increase critical chance and critical damage. Another weapon you may want to consider is the SR-1, a lethal sniper rifle that has increased accuracy. Check out our How to get Mods page to find out how you can customise your weapons to make them even more potent in The Division 2.